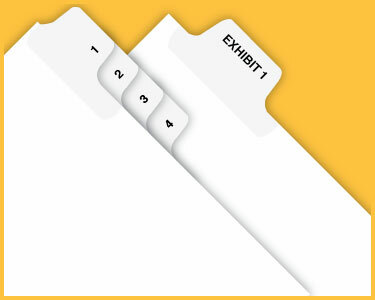 Made to your exact specifications and delivered when you need them to make it easier to find the informaiton you need quickly, to give your bound materials a professional look and to organize materials in a consistent manner. 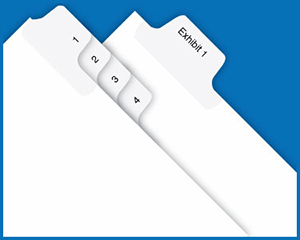 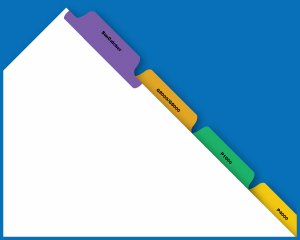 Custom tabs are perfect for Specialized Litigation Sets, RFPs, Employee Manuals, Firm Brochures and more. To request a quote or more information, please click the link below to provide a quick summary of your project or call Customer Care at 800.222.0510.